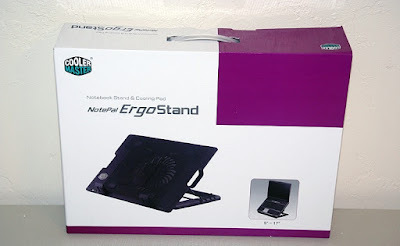 The Notepal ErgoStand is a cooler for notebooks ranging from sizes 9 to 17 inches. The jet black cooler has great aesthetic appeal, and it is made of a plastic and steel body with a metal mesh grille and rubber feet. The angle of the cooler can be ergonomically adjusted at four angles. 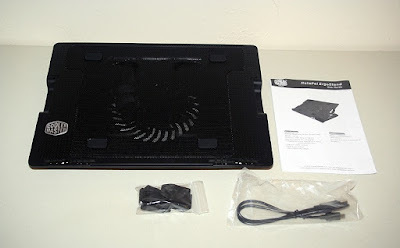 It features a silent but effi cient 140 mm 5 V fan, which can be powered via the bundled USB cable. The cooler additionally powers the onboard four-port USB hub, for use with accessories such as a mouse or a keyboard. 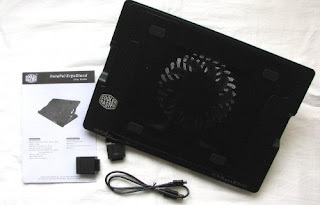 Though we noticed efficient cooling for the test laptop, the two adjustable foam pads that keep the laptop from slipping, rise quite high, making operation a bit awkward. You can eliminate the pads completely, but without it you can use the cooler only at the lowest possible angle.